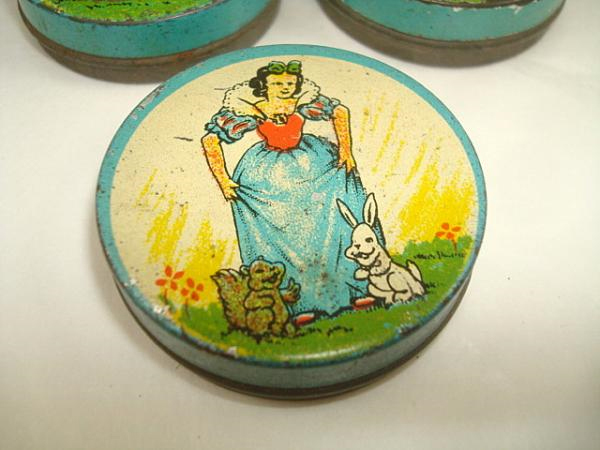 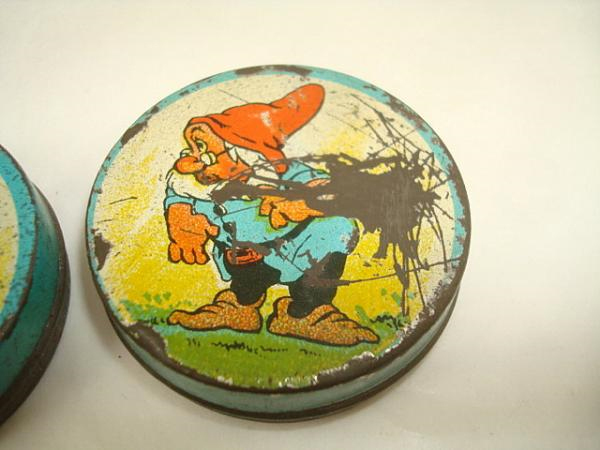 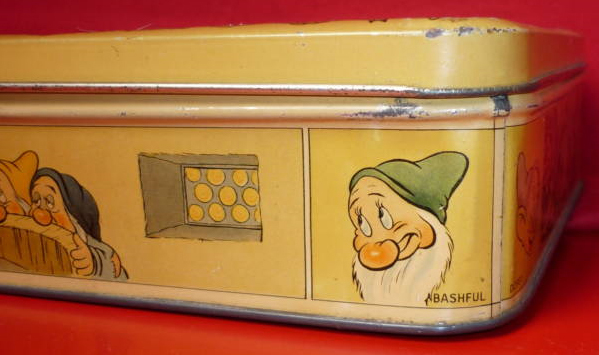 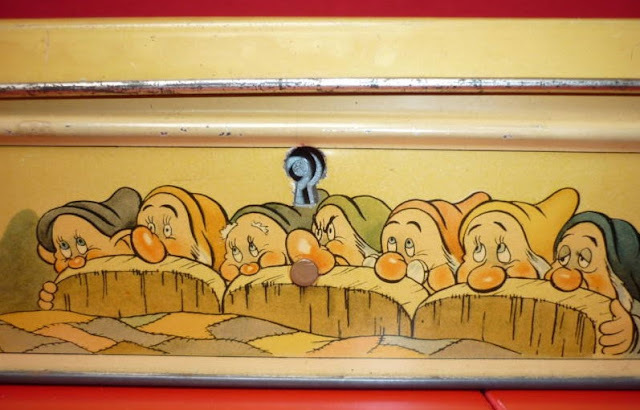 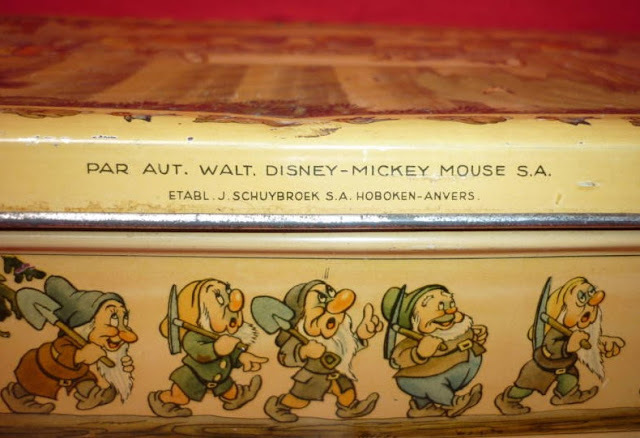 Another cookie tin produced by J. Schuybroek of Belgium. Dates from circa 1938. Key lock lid. 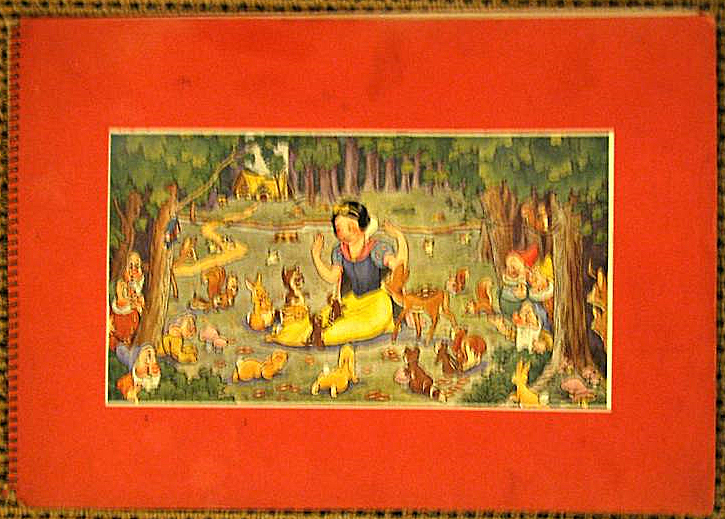 Measures 20 x 33 x 6.5 cm. 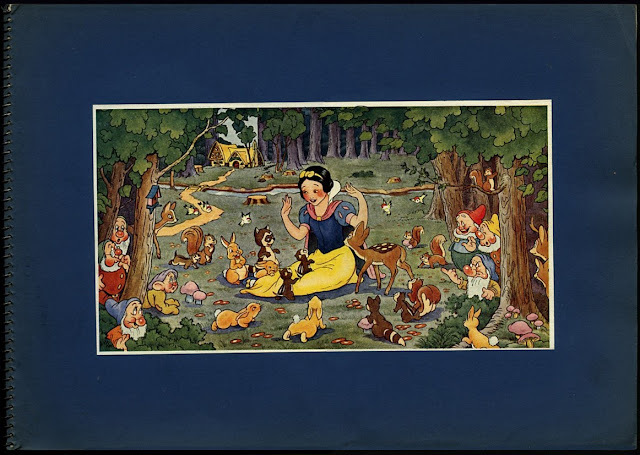 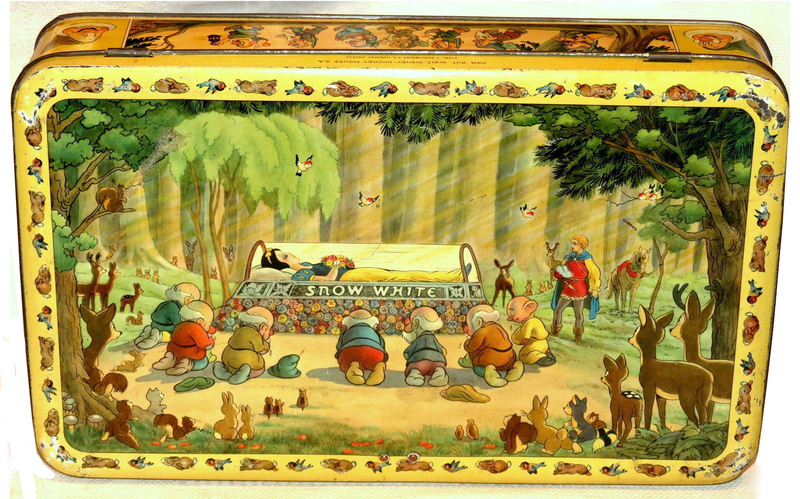 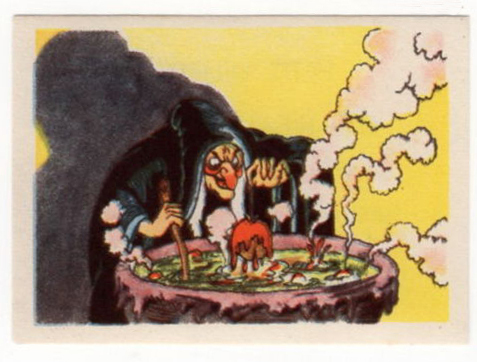 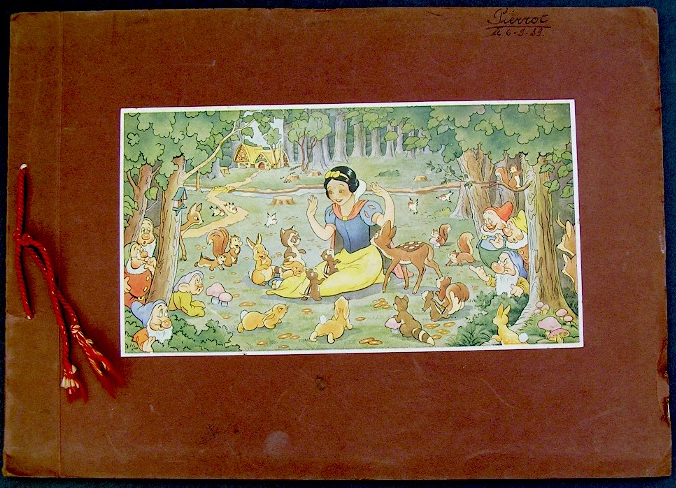 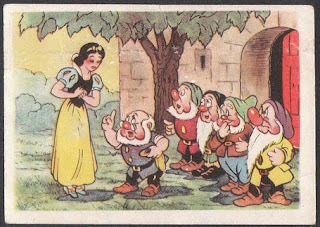 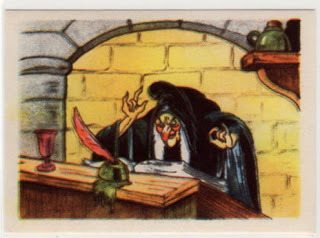 Top litho illustration of Snow White on bier. 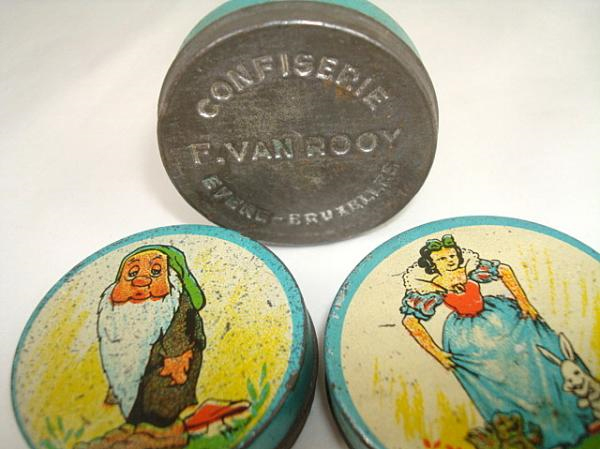 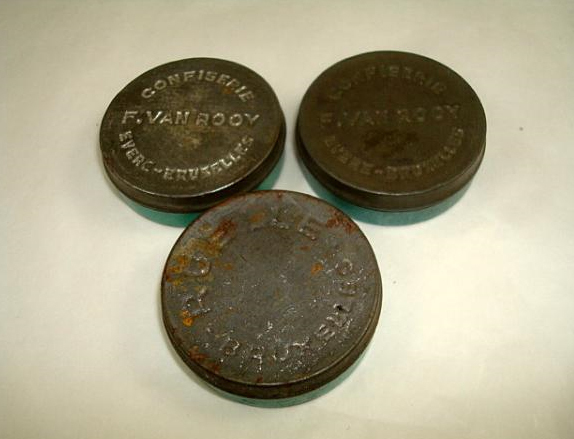 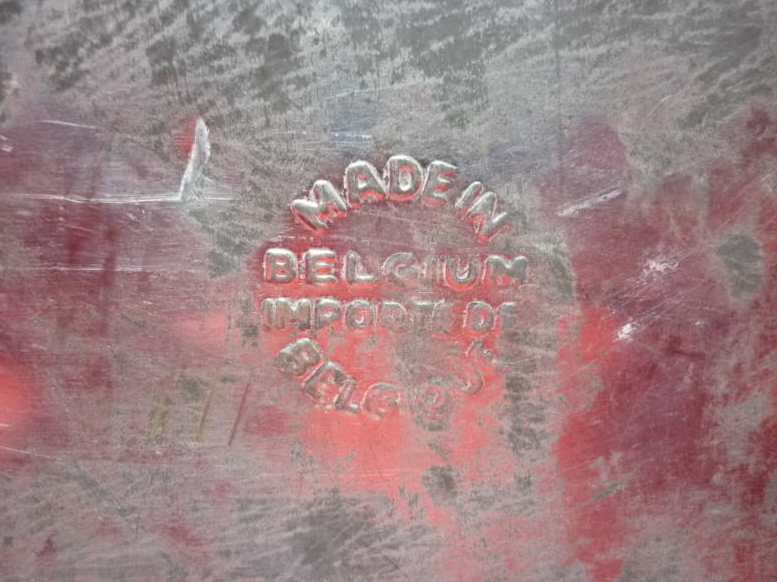 See a similar Belgian tin in previous post. 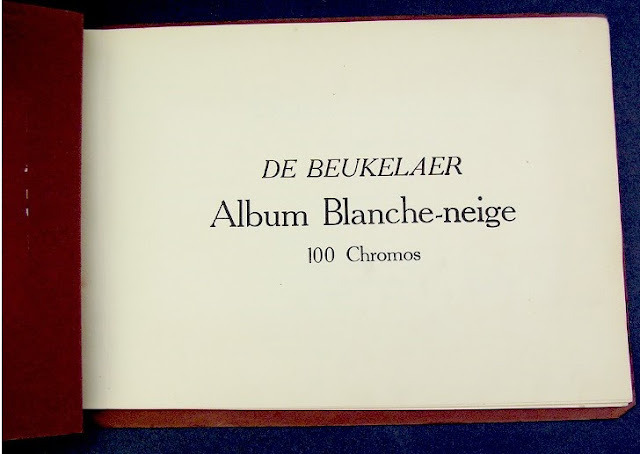 This 20 page softcover was first published in Belgium by De Beukelaer bakery. It includes 100 numbered spaces to glue the De Beukelaer collectible cards (seen in previous post). 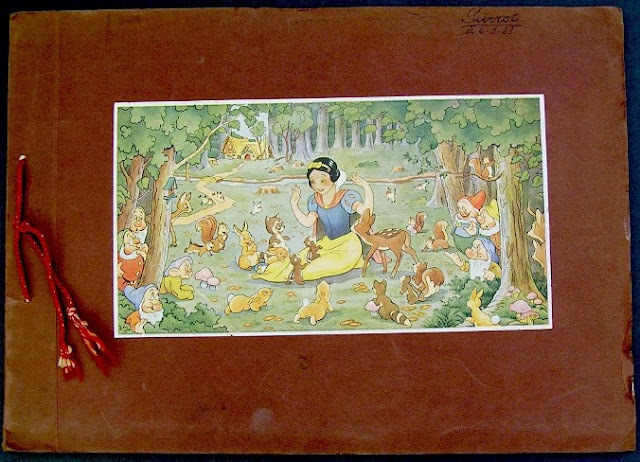 The book measures approximately 13.5" x 9.75". 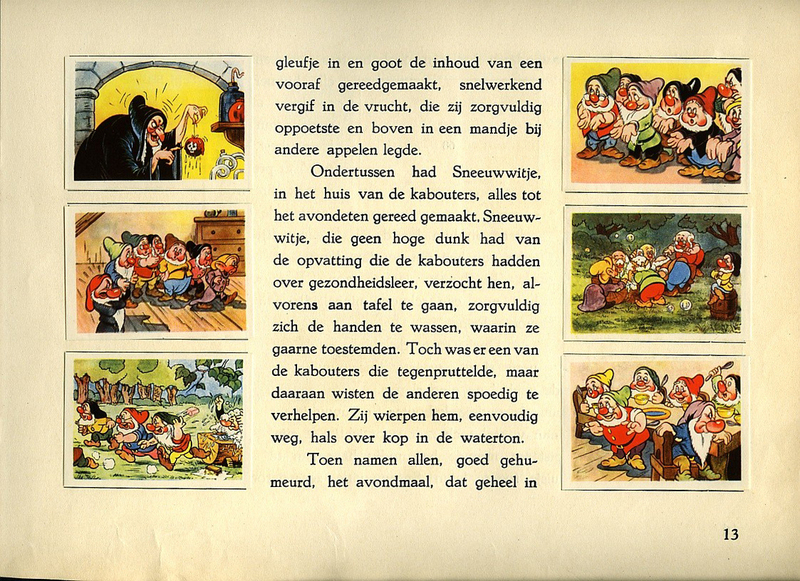 The dominant two languages spoken in Belgium are Dutch and French, so it's not surprising that this title was published separately in both. 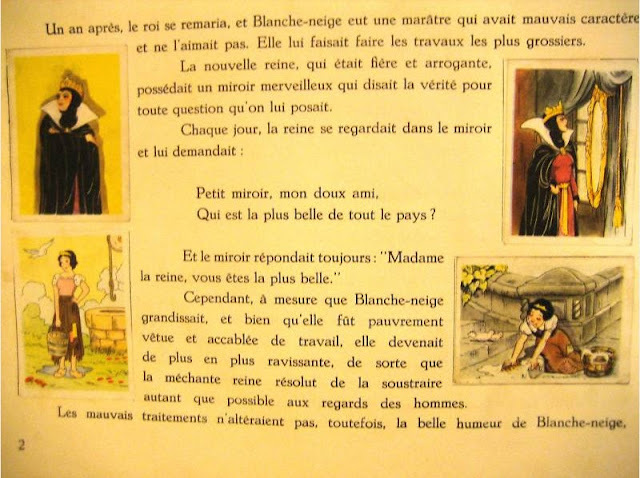 Same story, same stickers, just different languages. It seems that numerous editions of the book have been printed. 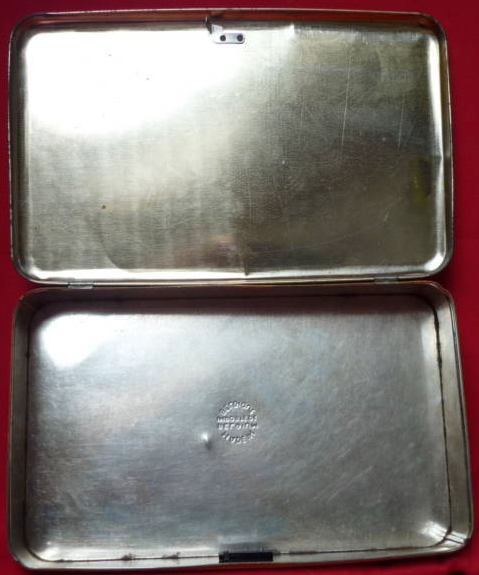 They date from circa 1940. 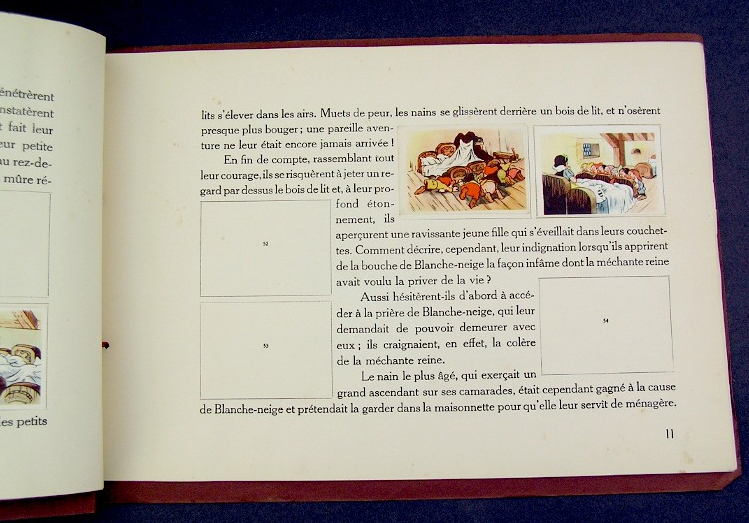 French version (F1) was bound in a reddish-brown softcover and held together with a simple red cord. Another later French edition (F2) was spiral-bound in an orange softcover. 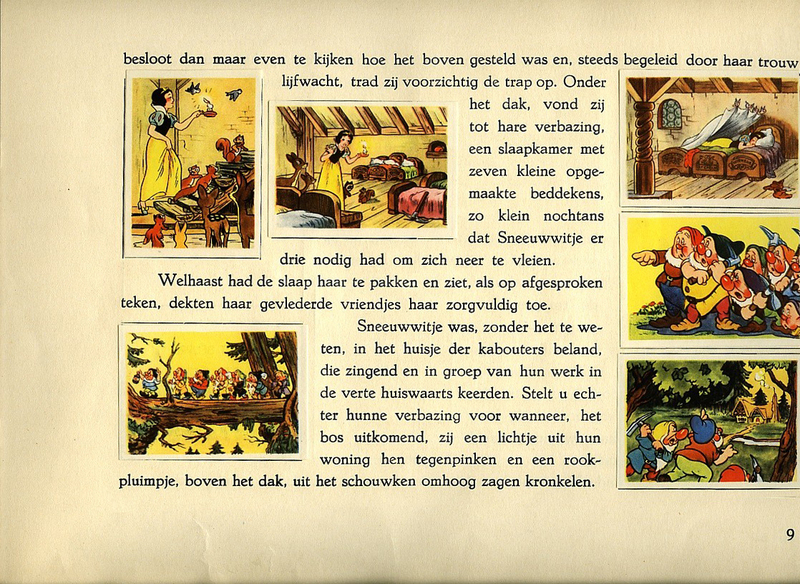 A Dutch (D) edition came with a spiral-bound blue softcover. 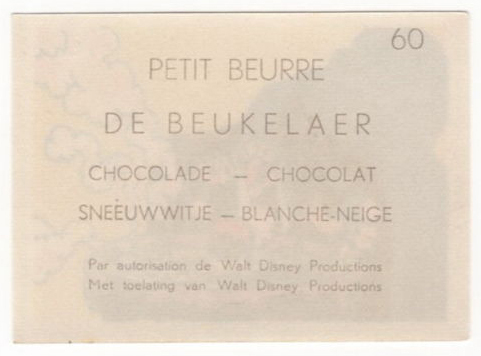 These collectible cards were produced in Belgium by De Beukelaer. 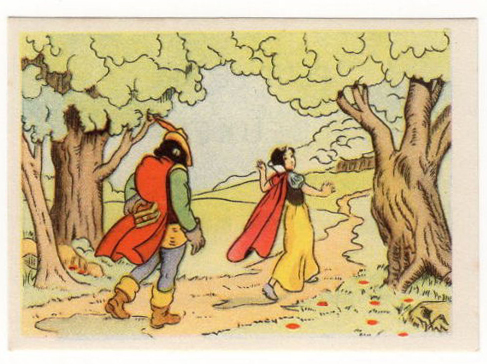 A total of 100 full-color scenes in the collection. 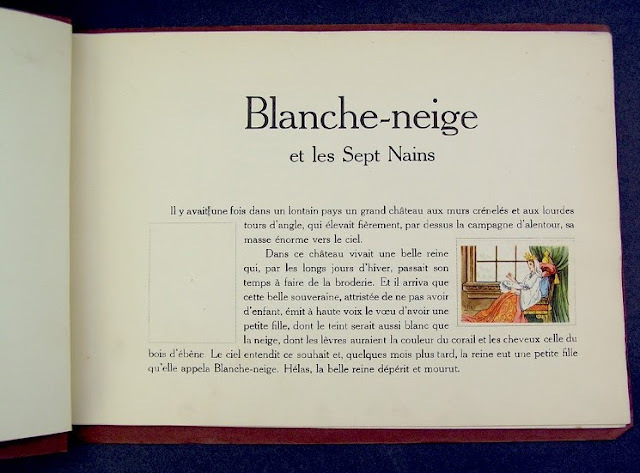 Thin paper stock. Measure approximately 2" x 2.75". 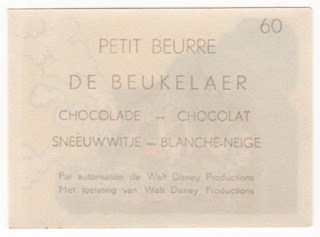 They would be obtained separately as a premium with the purchase De Beukelaer chocolate bars and cookies. The backs are numbered and list the name of the food item. 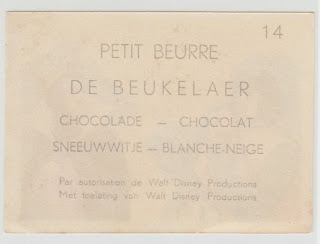 Text in French and Dutch. 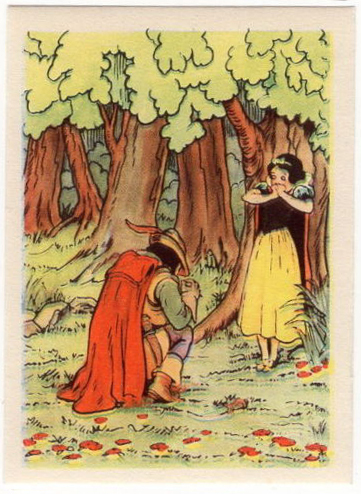 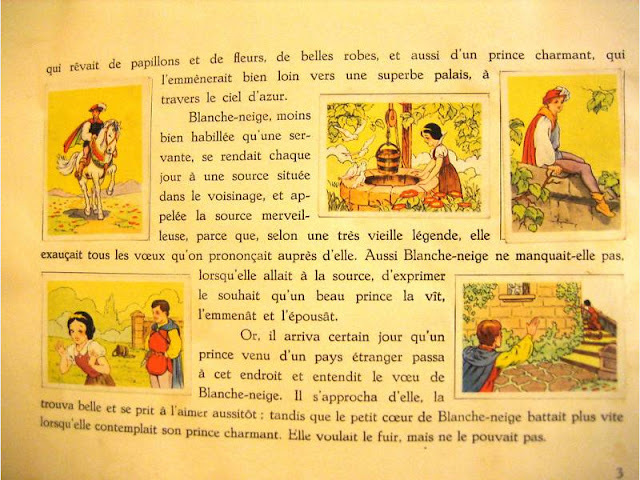 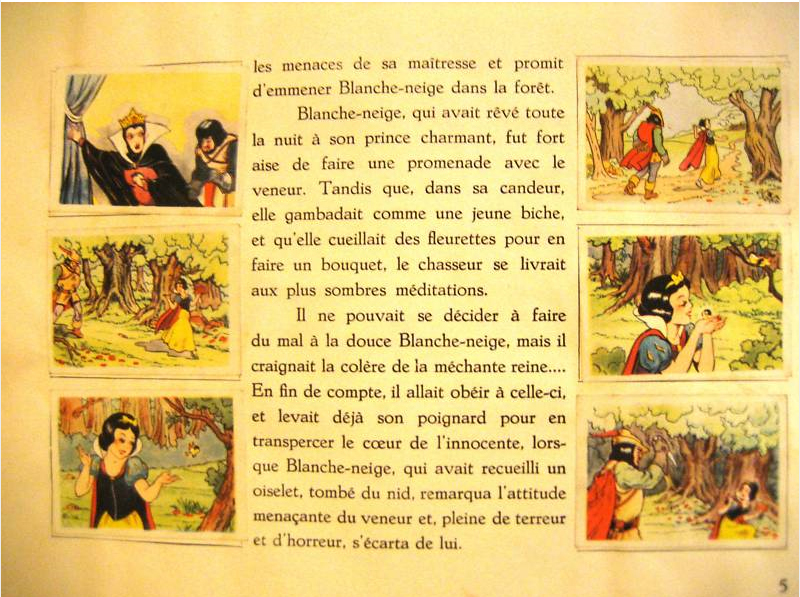 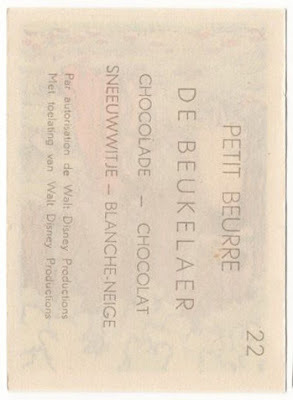 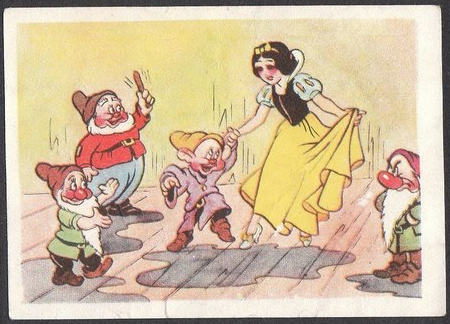 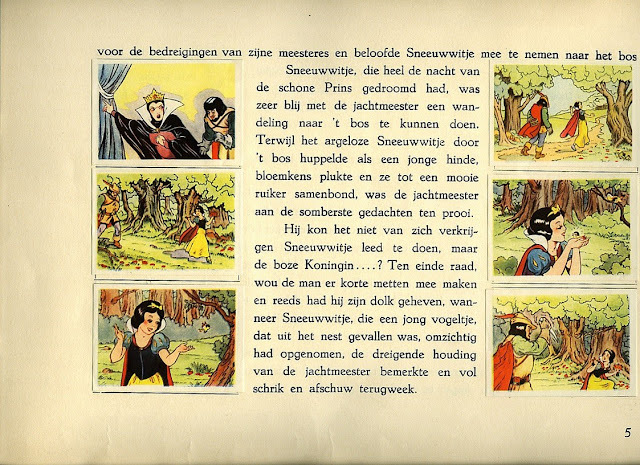 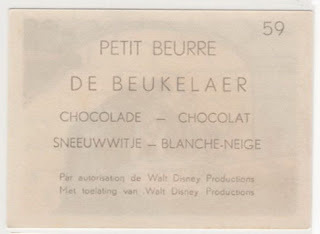 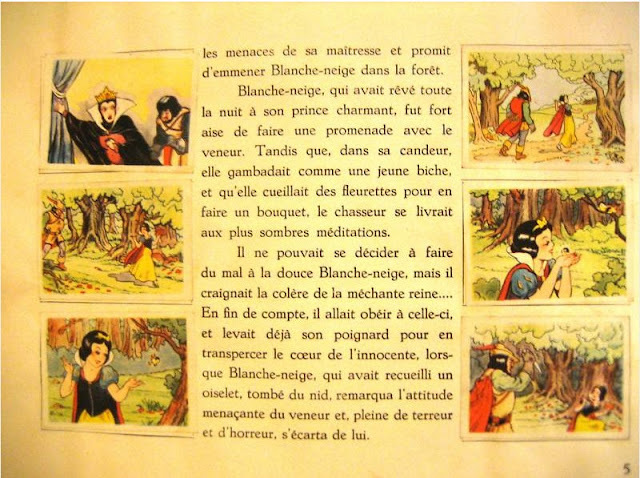 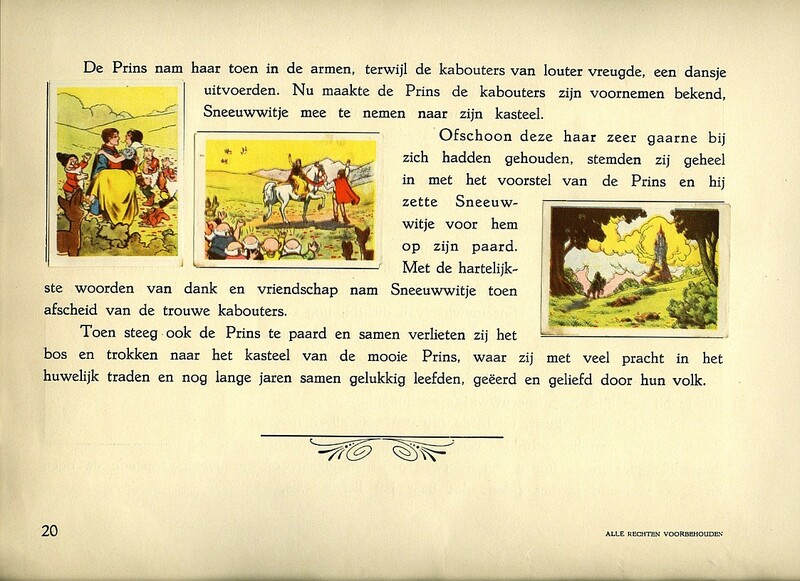 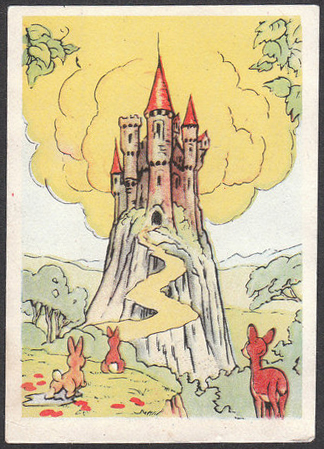 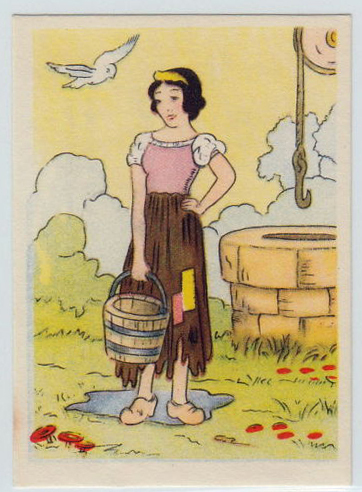 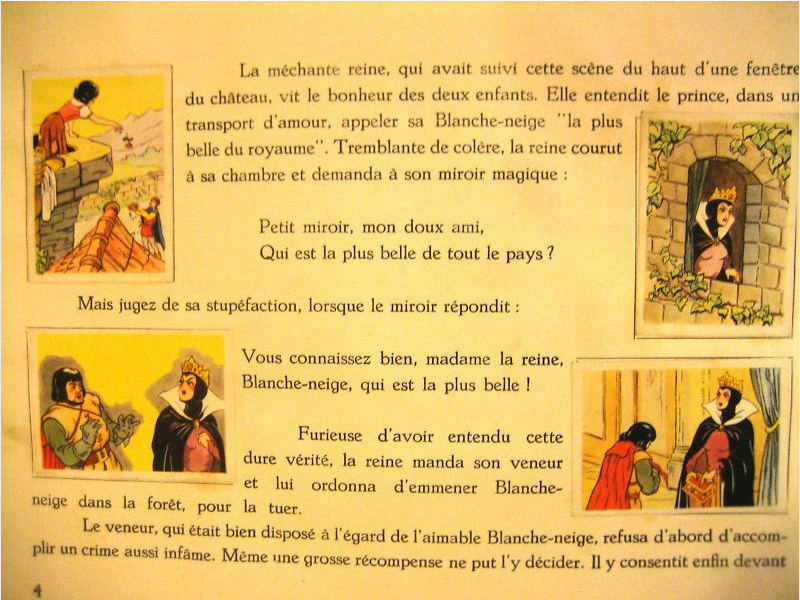 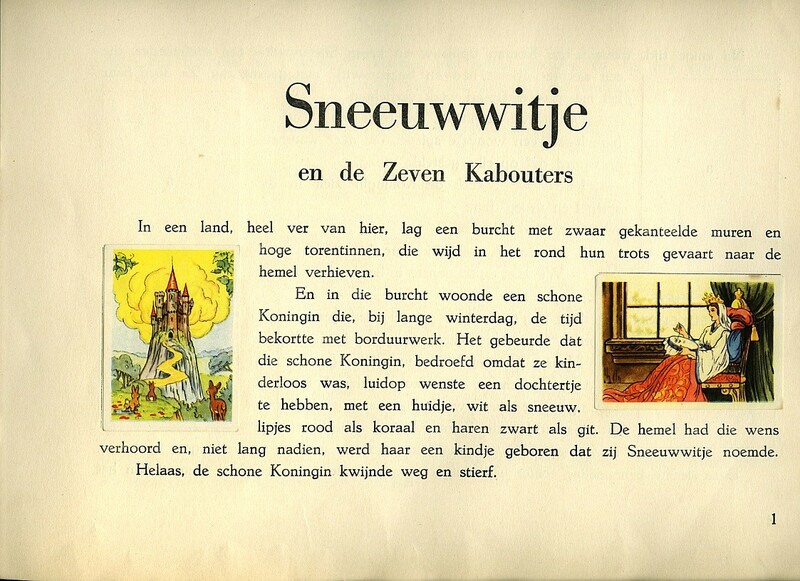 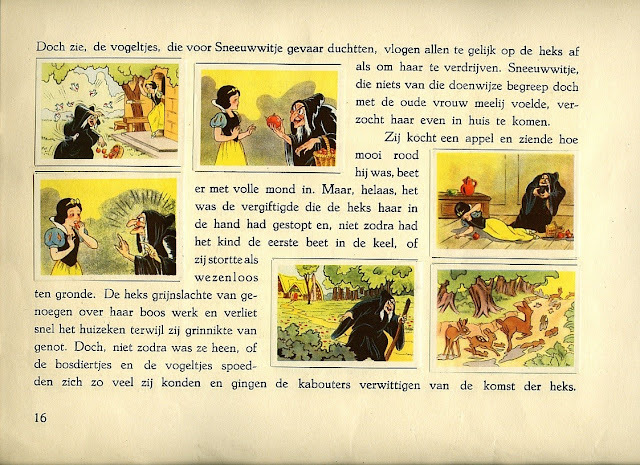 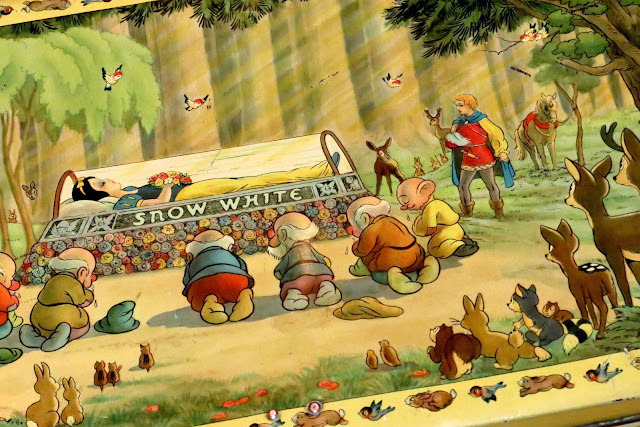 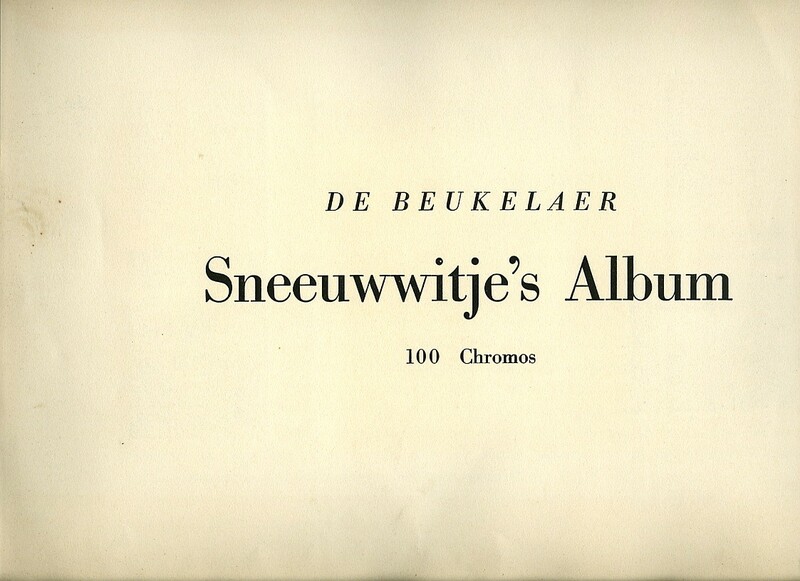 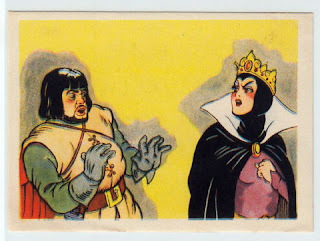 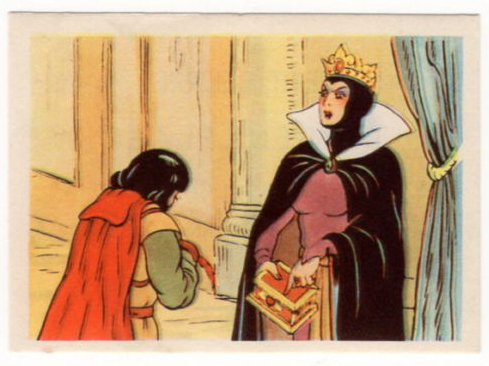 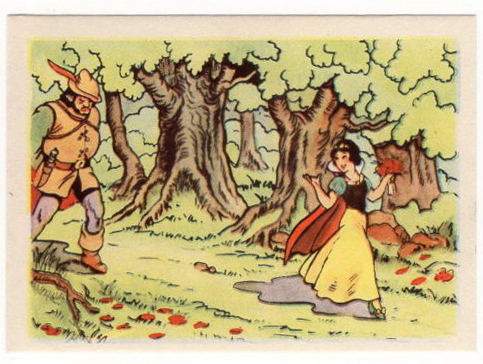 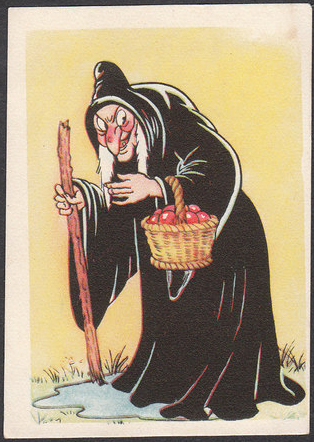 In the next post, we will see the De Beukelaer Snow White "sticker" books that held these cards. 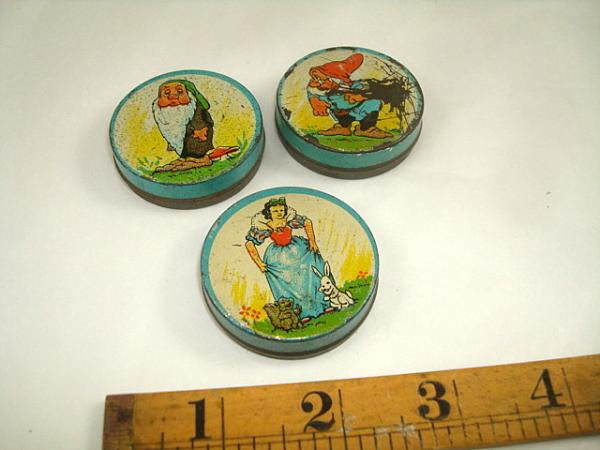 Glue was needed to affix them in place.